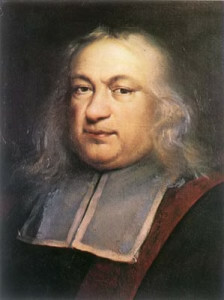 Pierre de Fermat, one of the prominent mathematicians of the 17th century, is better known for his contribution towards development of infinitesimal calculus. He was also a lawyer in terms of profession at the Parliament of Toulouse. Pierre de Fermat was born in 1601 in Beaumont-de-Lomagne, France. He is believed to be of Gascogne origin. Fermat’s father was a wealthy merchant and his mother’s family was involved in the legal profession. There is little information about the early education of Pierre, but he is believed to have attended the College de Navarre in the city of Montauban. Fermat obtained a bachelor’s in civil law from the University of Orleans in 1626. He was married and had five children. Fermat was more of an amateur mathematician who explored the world of mathematics as a hobby. Post studies, Pierre moved to Bordeaux where he started working on mathematical research seriously. Despite his interest in mathematics, he always maintained it as a hobby while continuing to work as an active lawyer. Fermat was not even interested in publishing his work and used to send his work to famous mathematicians in France. It was his connection with Marin Mersenne that gave Pierre international recognition. During his lifetime, Fermat received very marginal recognition as a mathematician and it was his papers that he shared with others that kept his work alive. Otherwise, much of his work could have been lost. Fermat mathematician made significant contributions to number theory, probability theory, analytic geometry and the early development of infinitesimal calculus. He ventured into the areas of mathematics which included pre-evolved calculus and trigonometry. Fermat’s primary contribution to mathematics was in the field of number theory. C.G. Bachet’s translation of Diophantus of Alexandria inspired his interest in the Theory of Numbers. He introduced Fermat’s “Last Theorem,” which states that there is no solution in integers of the equation xn + yn = zn (xyz#0, n>2). Fermat contributed to the development of calculus through his work on the properties of curves. Sir Isaac Newton said that his invention of calculus was based on Fermat’s methods of tangents. Fermat’s work on calculus was an aid in developing the differential calculus. Fermat, along with Pascal, is known as the founder of Theory of Probabilities. His views on fundamental principles of the subject became the foundation of the probability theory. Fermat’s theory of probabilities grew out of his early research into the theory of numbers. Fermat had a strong interest in maximum-minimum problems, which he applied in the field of optics. He applied his method of maxima and minima and made the assumption that the speed of the light is more in the denser medium involved in the refraction. From this principle, Fermat deduced the laws of refraction and reflection. This principle was known as Fermat’s Principle. Most of the history’s thinkers are remembered for their completed work. Pierre did not publish during his lifetime regarding his findings. By any standards, Pierre Fermat was a great mathematician, but he is best remembered not for what he did, but for what he left undone.